Those are beautiful images, all around. I wish I could draw, but instead I’m very impressed. A) Currently the poll only allows 1 vote, despite you mentioning two. Not sure if bug. B) I kinda like the words around the edge of “A stone in your heart” – but I can see from other shirts (Including “Names Compilation”) that sometimes text on a shirt can be hard to read. 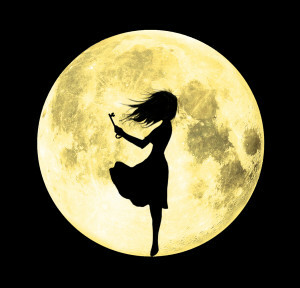 C) On the subject of artistic changes, I can’t help but feel that the moon of “What does it unlock?” looks very out of place on a white background. Now, Maybe I’m the only one, but I think a black or dark blue (if you want to keep the silhouette a different shade) would work better. A) Yeah. I just found that out, too. We’ll fix it as soon as possible. C) It will be on a black shirt. I don’t know why it’s on a white background up there. We should swap out that graphic. I was able to vote twice so thank you for fixing that. What about putting the line about stone in your heart on the back on the shirt? It is such a beautiful line I hate to lose it. I fixed the poll! You should be able to vote twice now, sorry about the confusion. While I’m sad my Princess and Mr. Whiffle submission didn’t make it, most of these are brilliant. I’m partial to Ivare Enim Euge, because on top of being classy and gorgeous it’s one of the few that doesn’t go on a pure black shirt. I think the apple-pear design would be great on a t-shirt actually… or mugs, or as a pendant, or earrings. maybe in the future? I totally see that design as a sweet mug coaster (I believe they’re called like that, but my english is failing me right now). I love the idea of apple-pear earrings. Yes this needs to happen. I am sorry. We are three at home that love TNOTW. I will try to vote three times from the same IP, and you may have three potential buyers depending on what is the outcome of the poll. Come on, Maple! I love that poem more than any other piece of poetry in the book. (Unless one counts poetic dialogue.) It’s so full of legacy and long-forgotten ritual to guess at. Thanks man! I had a blast drawing it! Seriously amazing, Ronamis. So much good stuff here, but the subtle beauty of yours works so well. I could also see it as a mousepad or a woodcut or a tote. Could there be an option where A Stone is in Your Heart is on the front and You Have Died of Chandrian on the back? Also, does the latter have any copyright issues? 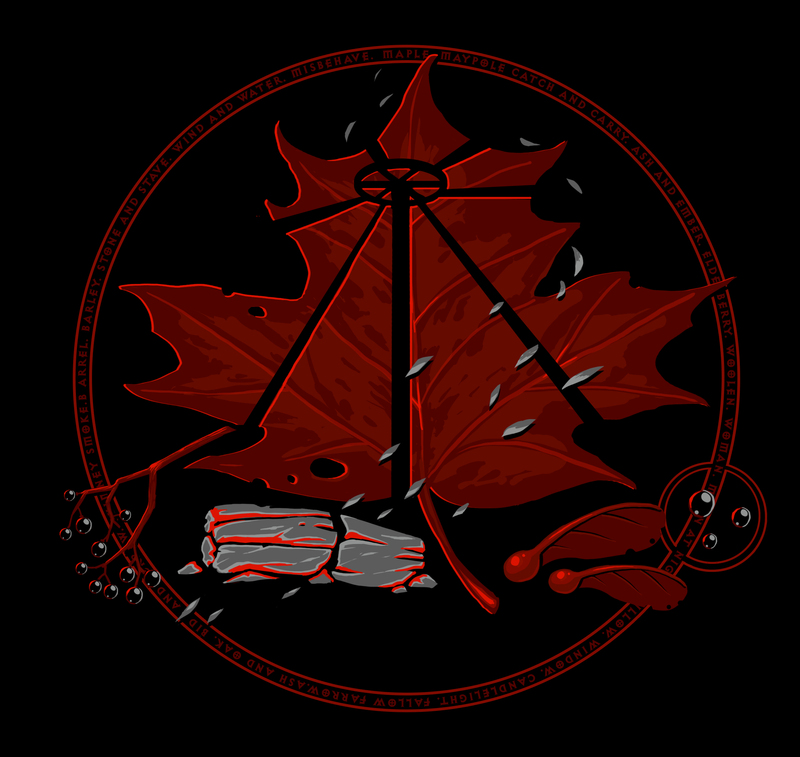 Sweet Merciful Tehlu, my Maple-Maypole design is in the finals! Thank you mr. Rothfuss! This is amazing! I would definitely buy it. Great work! I voted for it too! Great job on capturing the feel! I was wondering if the t-shirts would be available in other colors besides the ones pictured because that would affect my vote. Thanks!! It depends on the shirt. Almost all of them are going to be on black t-shirts, which one were you thinking of? I knew mine wouldn’t make the cut (it wasn’t even a design, as I couldn’t draw my way out of a wet kleenex), but I just wanted to give props to your folks for whipping up a graphic for my tongue-in-cheek suggestion of 50 Shades of Greysdale. Totally blew me out of the water when they emailed and said “maybe something like this?” Thank you for your effort, and wow, awesome selections! Should totally be able to vote twice, lol. I should learn to have more mainstream tastes so that I won’t be frustrated when people do votes like this :P My two picks currently total 17% combined…oh well, I wouldn’t have been able to decide between Ivare Enim Euge and Chandrian regardless. During the last contest, the shirt I liked the best came in dead last…. Is it just one design which will be picked to be a t-shirt? My favorite (key, coin, and candle) is currently dead last. Maybe as well as picking the top couple of vote receivers, include an “author’s choice” design, perhaps as a limited edition. Everybody loves limited editions, except when they’re sold out and you still want one. I wonder if an approval voting system (vote for any you would buy) would give different results than “pick your top two.” I basically had to pick randomly to narrow down my three second-favorite designs to a single choice, and I doubt I’m the only one in that boat. What will you do if two similar designs win? Right now “what does it unlock” and “stone in your heart” are both close to the top, and they’re both a little closer to mudflap-girl-style than I would want to wear across my chest. They’d be fine hanging on a wall because they’re pretty pictures, but things like exaggeratedly-curvy lady-silhouettes read really differently in clothing than in non-wearable-art. Will the artists who don’t win be allowed to sell their shirts themselves, or might they be sold later? I’d buy and wear six of these, only one of which looks like it might end up in the top two. I picked the same! But it looks like they aren’t gonna win. Those are the same two I picked, and I like them so much that, if the votes continue as they have been, after buying “What does it unlock?” (which would have been my third choice), I’m going to be sorely tempted to head over to cafepress or someplace and have one or two of the losers specially printed for me. It seriously warms my heart that people are fond of my Chandrian design <3 thanks you guys. Love the design, can wait to buy a shirt! On another note, I had a dream about you last night Pat. And the dream was about… you.. having a reading here in Oslo. Yes I know… I have the most boring subconscious of all time. I could have dreamed about meeting you. I could have dreamed about knowing you personally. I could have dreamed about you and Neil Gaiman. I could have dreamed a sexual dream about you. I could have dreamed about reading The Doors of Stone. Or I could have had a sexual dream involving you, Neil Gaiman and The Doors of Stone. But no, I had a dream about you having a reading here in Norway. Which I didn´t even get to experience, because I woke up before it started. I´m hoping that I don´t have a boring subconscious with no imagination, and that my dream was actually a premonition and that I will see you in Oslo soon! It’s too bad you woke up before it started, because last night I had a dream about reading the opening of Doors of Stone in Oslo last night with Neil Gaiman…. Aww. Please people vote for Thee Oregon Trail crossover? I don’t know if I should feel mainstream cuz my choices are the top 2, or totally stoked that my choices are the top 2 and I’ll be getting one or the other. Waystone Inn is so amazingly awesome, I will now (when re-reading) forever see this logo hanging outside the door whenever anyone enters. On the other hand, I LOVE Auri and would love to have her with me all day (with the key that is howling for a lock! I love that description). I’m confused by the Waystone Inn one. There’s no music at the Waystone, so why is there a lute on the sign? Also, given that he’s in hiding, it would be unwise for him to put something associated with Kvothe on the sign. Maybe I just read too much into things. Some amazing designs and o matter which t shirts you develop I’ve got me some nice desktop wall paper! I know that the purpose of this contest is to design a new t-shirt, but I totally see some of them (and probably most of the submissions) as awesome posters. I don’t know if this is feasible, but it just occured to me and thought about mentioning it here. Yes! I really like some of these as non-shirt designs. My favorite, I love the design “What does it unlock?” I’d hang this poster in my studio. 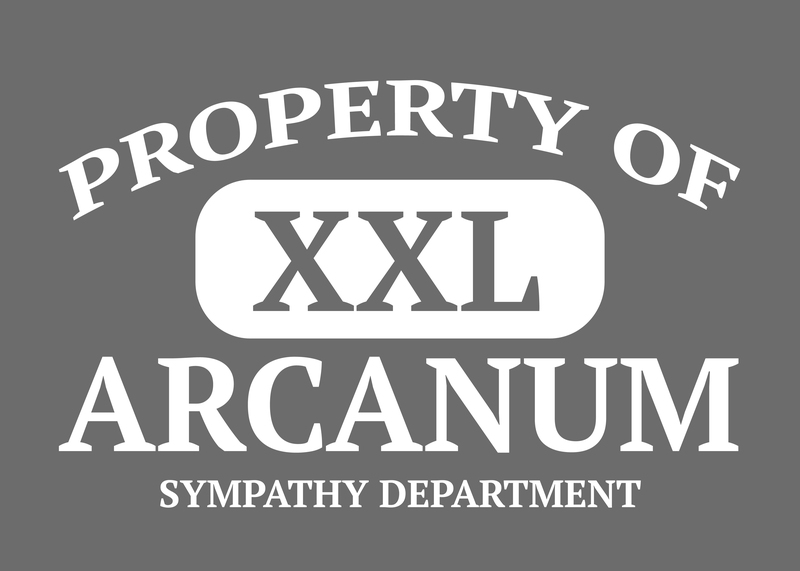 But I would not wear it on a t-shirt. For me, T-shirts are more for the common good. Huzzah! Thanks so much for choosing my YOU HAVE DIED OF CHANDRIAN design. I am completely honored to be in the running, especially next to so many beautiful and cool designs! You got my vote! I chuckled heartily. I laughed, then got really sad. I had the same reaction… Hahahaaa… oh. It’s a very nice design! I looked at that shirt, took a beat, and then laughed out loud. Nicely done. I love that design so much, it made me laugh so much when I saw it – I’ve recently been playing Organ Trail on my tablet and it reminded me of it. Maybe Pat could organise a ‘design an 8-bit style game’ competition as well?! That’s one of my favorites! If it doesn’t get chosen, I think you’ll have a lot of people contacting you to see if they can get it on a t-shirt anyway. As much as I love all the designs, I would only wear ONE of them as a t-shirt, and it looks like that design is near the bottom of the vote. C’est la vie. Though I also voted for #1 as my 2nd vote. Thank you so much for choosing my ‘Chandrian’ design! I’m very honored to have made it this far. To all the other artists, amazing work! 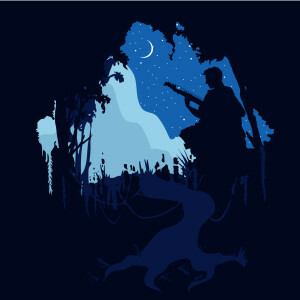 I want to buy so many of these designs as shirts it’s almost heart breaking to think they won’t all be made into such. Awesome design! “Chandrian” was hands-down my favorite. I’m flattered and really happy to hear you liked it so much, thank you data! So many good choices! Well done to all entries, I am going to have to ponder my decision for a long while. Sorry Pat, but I couldn’t disagree more re: the Apple design. 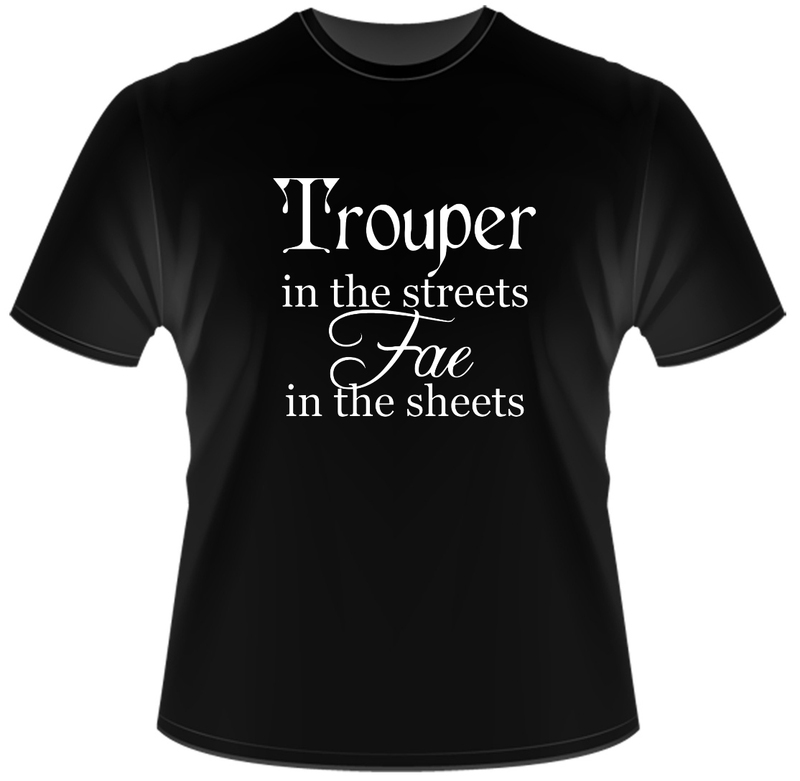 That is what many fans want in a t-shirt – something subtle, niche and very, very cool. In honesty, none of the other designs really appeal to me – so I’ll give the vote a miss… sad to do so, as I was really looking forward to a new NOTW shirt. These are all amazing. There’s only one that I wouldn’t wear, but I won’t say which. Glad to see that my two votes are in the top, although my first choice is in second place. I must say that while I do love the apple that thinks it’s a pear, I would rather wear one of the other designs. Do we have a rough estimate of how much the shirts will be sold for? Also, I’d like to mention my squee of joy whenever you and Mr. Butcher team up. You’re my favorite authors for different reasons. Thanks. So many of these are awesome, and I’m afraid that my favorite isn’t going to win. 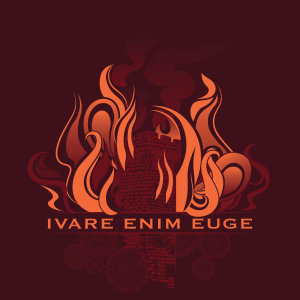 Is there any way I could get in touch with the artist of “Ivare Enim Euge” for permission to print my own copy of that onto a shirt in exchange for cash monies (either donated to Worldbuilders, directly to the artist, or both)? I want to send out mad thanks to one of your Facebook fans for describing these images in text for me. They did a great job, and I cast my now informed vote! Awesome designs. 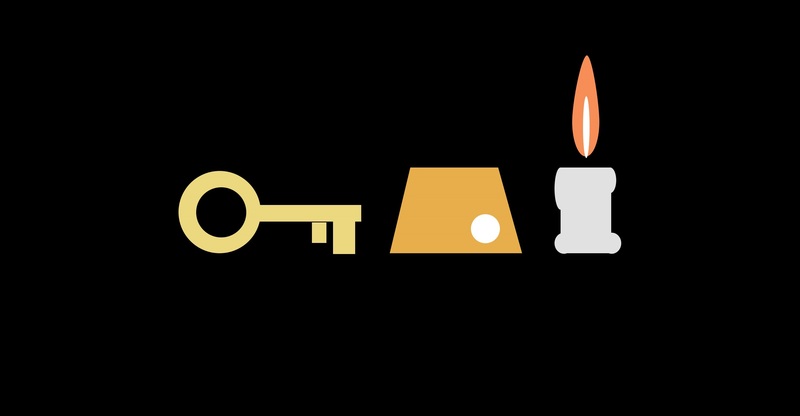 I saw the key, coin, candle design more as a Zelda cross-reference on Reddit. (It’s dangerous to go alone, take these) – is that out of the question because of copyright issues? I would buy the hell out of a shirt like that. Still would buy it, but the Zelda bit just makes it even more perfect. Also, I only voted for my top three, but I’d buy a solid five of those designs specifically as shirts. Some are near the bottom of the polling. I really hope that if they don’t get picked up this time around, you guys can consider still using the same or similar designs in the future. I love all of these designs. They’re fantastic and I would wear just about any of them. Do we know what type of shirt these will be going on yet? I love my “Many Names” shirt but the fabric is not very soft or comfortable. Would love whichever of these becomes a reality to be on a comfy, soft tee! 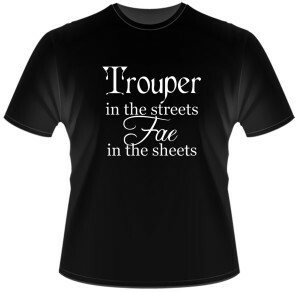 The design I submitted fails for not saying “trouper on the streets, fae in the sheets.” So much amazing. I love the Waystone Inn design. You have to be a fan to know the name without context and the design is well thought out. I appreciate the mix between circle and egg as the general shape, and that it is visually balanced without being symmetrical. The name front and center, easy to read. Three colors, key items, and banners to tie it all together. I was happily surprised to see it top in the voting. I would definitely wear this out and about. 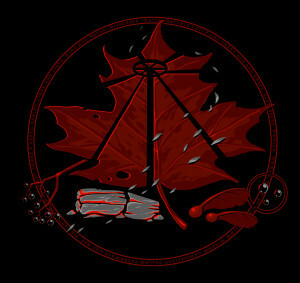 Maple, Ivare, Chandrian, and Unlock are all beautiful designs, but I wouldn’t wear them as a t-shirt. Died of Chandrian is hilarious, and I would proudly wear that to gatherings of geekery. All in all, a very nice group of finalists; they should all be very proud. So many amazing designs here. 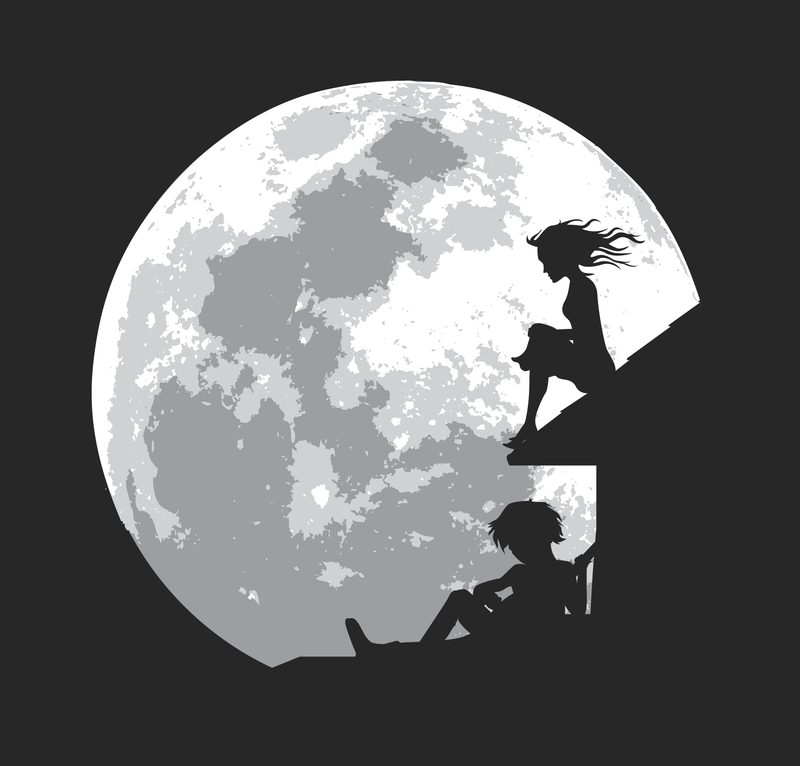 It blows my mind that such talented artists follow this blog, though I suppose that should be of no surprise X3 I’m a huge fan of Aurie, so I hope at least one of the shirts with her will print. Especially since neither need context to be visually appealing or appreciated. 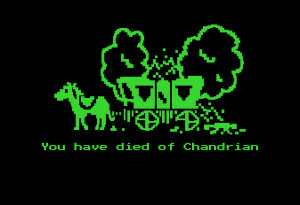 Gahhh…I LOVE “You have died of Chandrian”! It’s truly sublime. But, it’s not exactly my style for a shirt. Coffee mug, on the other hand? Heck yeah! Bring it. Anyway, great art all around. 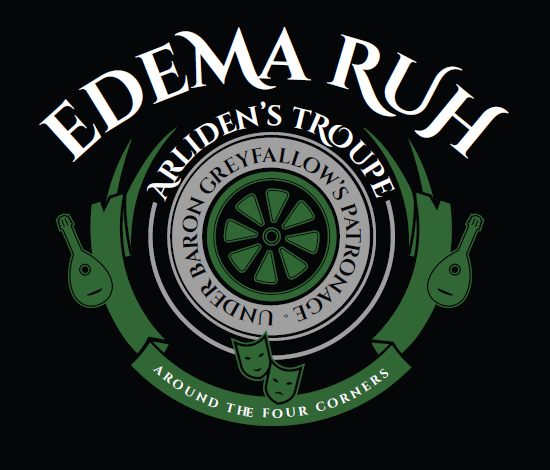 Was hoping the “Edema Ruh” would’ve been higher, but “Waystone Inn” is pretty much perfect as far as shirts go, so no complaining. I would absolutely wear the, You Have Died of Chandrian, only second to the design I submitted. Just saw this. I posted the similar at almost the same time. A sign ? Cheers. I voted for ‘The Waystone Inn’. Just to get the question, “Where is that?” The perfect ‘door’ to ‘The Kingkiller Chronicle’. 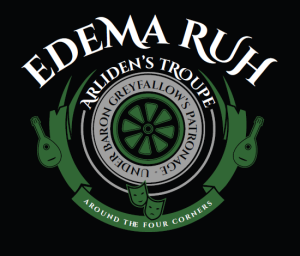 And the design appropriately bridges two worlds, Kvothe’s and ours. As an aside, am I the only one too frightened to wear anything that mentions or refers to ‘the Chandrian’ ? Oops, I just did it myself :( Congrats to all designers. If a design for a shirt doesn’t see print and we wanted to use the design to make a shirt for ourselves, how should we go about giving credit to the artist or something like that? 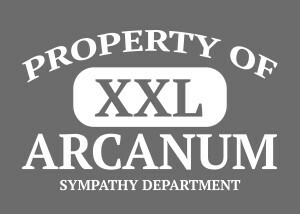 Count me in for one Waystone Inn and/or an ARCANUM Sympathy Dept. And Dresden File shirts???? Squee frikking squee! WAW!!! Thanks you so much for choosing “What does it unlock?” !!!!!!!!! IT’S MINE!!! Love you all seriously!!! Also I love the other designs!! Think I’m gonna buy a few of them! It’s really, really lovely. Right now it looks like it’s risen past the Waystone design, too…. So congrats on the #1 spot. Waaaw! Thank you so much Patrick! :) I have no words to explain my happiness, really. Hope you come to Barcelona, I’ll wear it for you! Awwwww thank you so much seriously!! You are so lovely! <3 <3 I made it thinking about the "true" fans who love these things! It is my favorite! I have such an emotional response to The Slow Regard of Silent Things and this t-shirt just “feels” it. Fingers crossed it wins. Yay! Thank you so much Sandhya! I think that the winners are the five or ten of the ranking. Totally agree with this Sandhya. Auri might feel a little shy with this fancy honor, but she certainly feels proud of such a beautiful and generous contribution. It’s flawless, and at the perfect place. For that I thank both talent artists for being sensitive gentlemen with noble causes and with Auri. Hey! If this is yours, please get in touch with me: breaking standard at yahoo dot com. I’m hoping to get this tattooed on my person and I want to ask permission and know how to give you credit before I do. I love my shirt of many names. I however love alot of these new designs so it was hard to choose. I am glad we get some brand new choices this year. Thanks so much for selecting my “I know you have a stone in your heart” shirt! There are so many brilliant designs to choose from. I’m very honoured to be a part of this group! Beautiful design, and one of my two favorites! Thank you for designing and submitting it <3 Here's to hoping! Thanks so much! That’s very nice of you to say. I don’t think I’ve ever had so much fun working on a project! I know it’s not in the list but i just wanted to say that i would buy a pear-apple shirt it is so cute! Also I want four of these as t-shirts. Really I’ll give my life savings to get any one of the shirts not selected. Looks like none I like are going to win. Time to kill myself. I would love one of each, please! Also, I am the dummy who didn’t zoom in to see all the words behind them before voting. Boo.. This is so much awesome! And a Jim Butcher shirt?! Shut up and take my money. I would buy pretty much all of these as posters or cups or anything if they don’t get made into shirts. Please say that you’ll find an excuse to use more than one of these!!! Love the Waystone for the same reason I love the Eolian shirt. Great job artists! Do you ever, like, actually write? I think you forgot what that is. No shirt for you. Unless it has troll on the back. I sincerely hope that Pat has reached the point at which he can ignore, roll his eyes about, or otherwise laugh off the people who inevitably feel the need to add “But when is book 3 coming out?” to any tiny bit of awesomeness that Pat posts. He can rest assured that for every schmuckfan (yeah, I’m inventing a word for those people, since I figure the positivity of them at least supporting the artist’s work by wanting more of it means they can’t just be douchebags) who feels the need to do that, there is another bewildered fan who grits his teeth every single time he reads one of those posts. It makes my blood boil like I’ve defaulted on a 60-talent loan from Devi. This post is amazing, and introducing the world to the word ‘schmuckfan’ just brings it to the next level. I would much rather Pat took his time and released a book that I can continue to reread, like the other books, rather than have him release it before it’s ready and I only read it three or four times. Doubtful the troller will ever be back to read the comment, which is almost a shame, but thanks for giving the rest of us a huge smile. My God! But this is getting old. Go write your own book for crying out loud. Mine isn’t as clever as yours Jsherry but it is truly heart felt! I’m really glad people get a kick out of my Apple/Pear design. It was fun to make and hugely flattering that people are talking about it. 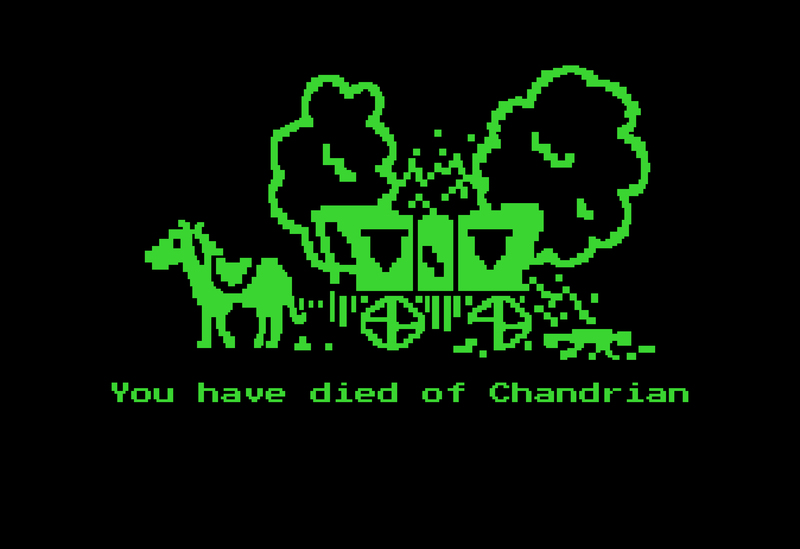 Definitely throwing my vote in for the ‘You have died of Chandrian’ though, can’t beat a bit of Oregon Trail. I was wondering if you would be up for making a blog showing off all of the designs submitted (with accreditation to their designers) as a way of thanks to all those who submitted. I know that I would love seeing all of the designs that didn’t make it, as well, and I think many here would love seeing them, too. Anywho, thank you for hosting this contest and not forgetting to be awesome and keeping fantastic(al), and all that. Good luck with the completion of your projects, and have a great rest of your week. Yup. We’re totally going to do that. Huzzah! I quite look forwards to seeing everyone’s designs, then, when the time comes! Gratias tibi! Et habe magnum ceterum tui diei! I love all the designs, kudos to the artists! Is there any chance that these will be printed on different shirts than the old ones? I’ve purchased a couple of those, and the sizing on those is *incredibly* small (yes, I did consult the sizing chart before ordering). We’re changing the sizing/style of our lady shirts. So if you’re a lady-type, then the answer is yes. I have to tell you I am LOVING 5 and 3, if those don’t make it, please let them be used in the future!!!! My two favorite authors working together…only good can come of this. Who’s geeking out right now? That’s right. This girl. Wonderful designs. I love Cthaeh and the sad, sad oregon trail one. How many designs will you be printing? Kudos to all the artists! These are beautiful designs and there is hardly a design that I would NOT wear. These are gorgeous. I can’t wait to put one on my body. 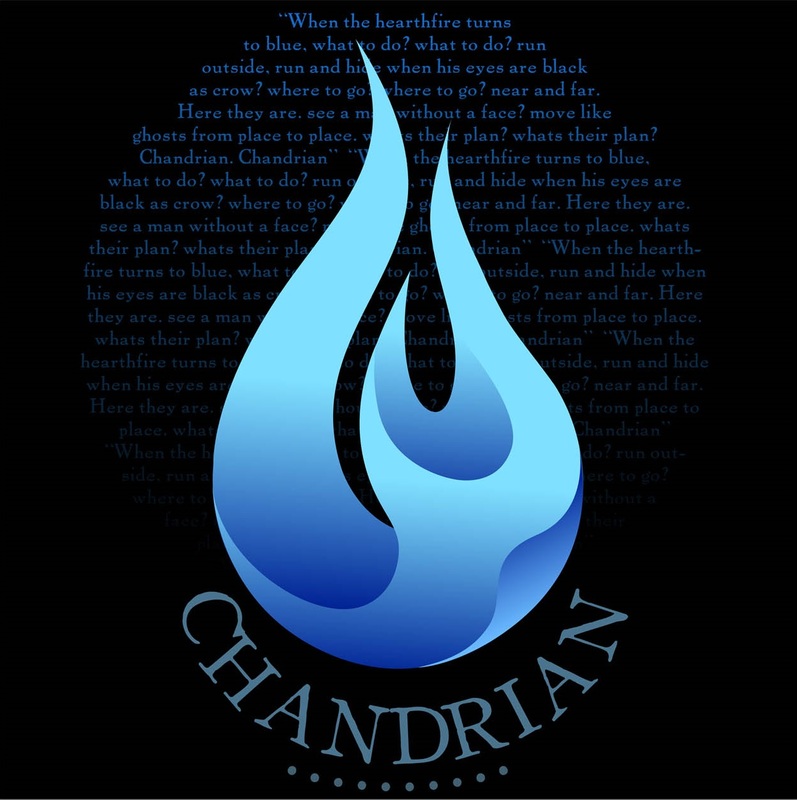 You know, if you pulled out the extra words on the Chandrian design and just made it the blue flame and the word Chandrian, it would be an amazing design to go on a polo shirt. As someone who wears those for work every day, I would give you all the moneys for that. It would make an incredible companion to the Hydra and UFP polos I’ve gotten from ThinkGeek. Just sayin’, there’s a sartorial life out there beyond t-shirts. I want an Ivare Enim Euge shirt, badly. How many buyers would you need for each of these shirt designs to make them? I will buy a t shirt regardless of the design (for the most part), however it would be awesome if the designs came on t shirts of different colors! Unfortunately, I don’t think there’s any way for us to do that at this time…. We’re looking in to it for the future though…. All of these are amazing works, I have a feeling that the one I like the most isn’t going to win though. If possible I (and I think a lot of people) would like the opportunity to custom make these for themselves. Obviously, Pat, you can’t speak for them but would you mind asking the artists if they would allow that? or even if they have something like a teespring page could they share that? That’s a great website. Thanks for bringing it to my attention. Hey Pat, great stuff going on here. Love these designs. The amount of stress it is causing me to choose just two is delightfully embarrassing. Wow, so impressed with all of the designs!! I only wish I could vote on more simply to show my appreciation for the artwork! 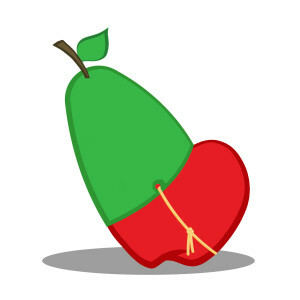 My heart also broke a bit with the apple that thinks it’s a pear. Although I wouldn’t wear it as a tshirt, I really love ‘you have died by Chandrian’ (it’s a bit too sad as a shirt somehow) – I really hope it comes out later as something else to buy, because it’s so perfect. I just wanted to chime in to say these designs are fabulous. 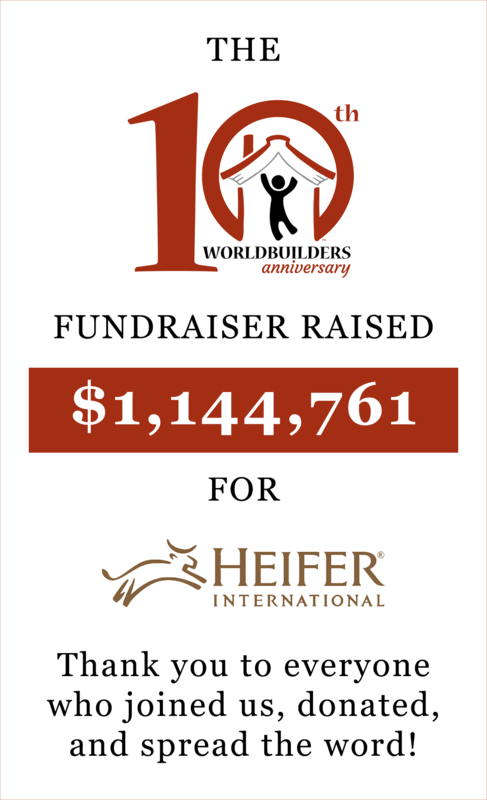 I haven’t voted, because in all likelihood I will not buy one, simply because I have a bajillion tshirts, and I’d rather just save the money for Heifer donations later on. But the contributors should all be proud. They’re all lovely designs. 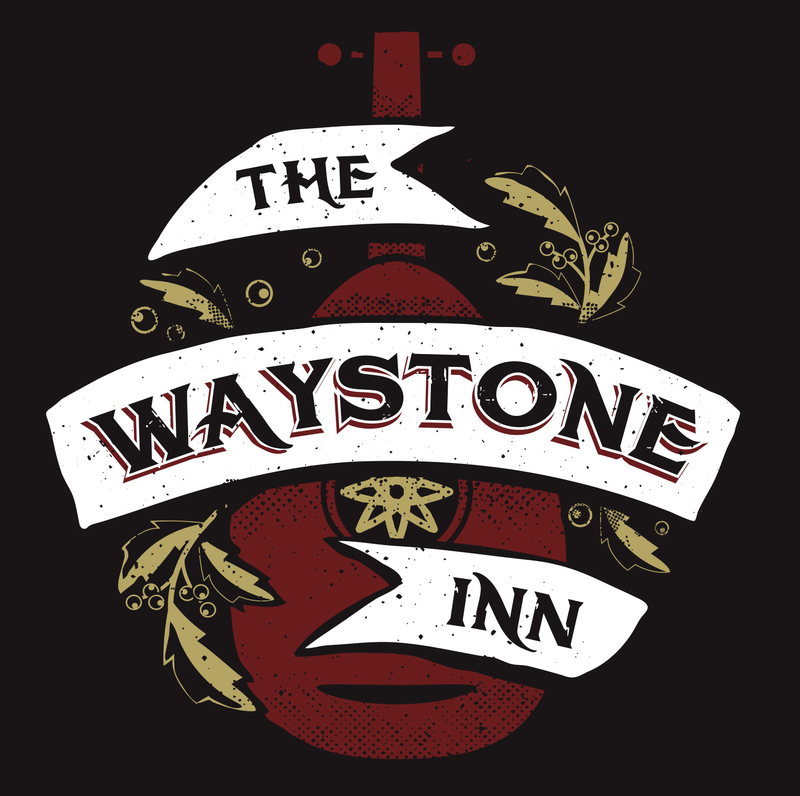 If I were ever to cave and buy one, it would probably be the Waystone Inn one. The Ivare Enim Euge one is a bit scary to me. I won’t vote, because I can’t separate the art from what I would wear. I did want to give a thumbs up to all the creative entries. Any chance of doing any of these as art prints sold in your store? A couple of the designs I would not wear on me, but would proudly hang on a wall. There are so very few votes between the top 2 contenders >.< Both are amazing designs loved by so many folks. I really hope you guys aren't restricting it to just one design. I would buy and wear “The Waystone Inn” or “You Have Died of Chandrian” as a t-shirt, but I want “What Does It Unlock” as a something I can hang on my wall. There isn’t a dud among them though, great job every one. Okay, I must be losing it. Why can’t I figure out voting? Glad I’m not the only who feels like they’re losing it. Is there a link missing or something? How do you vote? It doesn’t appear to be working. Welcome to my first public fight with technology! I seem to have fixed it (sorry it took so long), try again! The first 3 are so close you should put all of them into print. I will admit it; I am lazy. This may have been answered above, but I did not want to scroll through all the comments above for the answer. My question is: If I was willing to buy two designs, is it fair to vote twice (one for each, of course)?